Medical Terminology can be confusing, but when you learn about the structure of the words you can start to identify what the words mean. The more familiar you are, the easier it becomes. Usually in medical terminology the words contain several parts which, when combined, creates the meaning. For example, knowing that "itis" at the end of the word means "inflammation" you can figure out that appendicitis is inflammation of the appendix, pancreatitis is inflammation of the pancreas and so on. This book teaches the foundations of medical terminology, so you too can understand medical terms. It also provides a comprehensive A-Z dictionary of commonly used medical terms - from abdomen to zygomycosis, and a list of common diseases and syndromes. 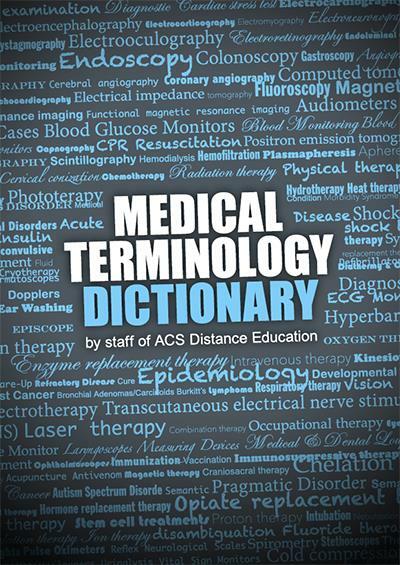 This is a fantastic resource for anyone that wants to know more about medical terms.